Within the framework of the EU research project THE LANGUAGE MAGICIAN, the project team of the University of Leipzig under the leadership of Prof. Dr. Norbert Schlüter invited to the conference THE LANGUAGE MAGICIAN at Work – Evaluating Foreign Language Competence at Primary Level from 26 – 27 January 2017. Over 100 teachers and decision makers in the area of foreign language teaching at primary schools from England, Spain, Italy, Austria, Poland and Germany attended the conference. The research project THE LANGUAGE MAGICIAN is an Erasmus Plus project in which 10 international partners, the Goethe-Institut being the lead partner, are developing a computer game for the use in foreign language teaching in primary schools. The learners get to show their language competencies in a playful way in the areas of listening and reading comprehension as well as writing. The University of Leipzig is the only German partner in the project and is represented by Prof. Schlüter from the department of English Didactics and Josefine Klein from the department of Education Sciences. “We are very proud that we could present the first results of the computer game THE LANGUAGE MAGICIAN to the public at this conference; the game in a playful way allows to assess the linguistic competency of the pupils in a foreign language after approx. 100 hours of language learning.“ said Prof. Schlüter. The project team plans to integrate a second test level into the game until the end of August 2018, which will test the language competency of the learners after approx. 200 hours of language learning. First research results have shown that a differentiated reflection of the knowledge in the areas of listening comprehension, reading comprehension and writing can be obtained through the tasks. The entire project team was at the conference and presented the results from the piloting in the four countries Spain, Italy, England and Germany to the conference participants. 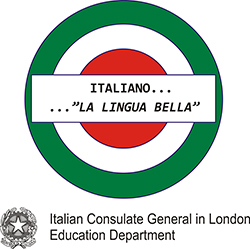 In the final version, one of the five languages English, German, Spanish, Italian and French can be selected for the assessment of the learning level. “The computer game will allow the teachers to compare the language knowledge of their own class with national and international results. If the test is repeated the learning progress of the students can be shown without written exams and corrections.“ says Prof. Schlüter. In order to create a stress-free and motivating environment, the language tasks in the computer game are embedded in a storyline appropriate to the age of the learners: The evil magician Winivil has cast a spell on all the animals from a farm near his tower and has turned them into doorknockers. 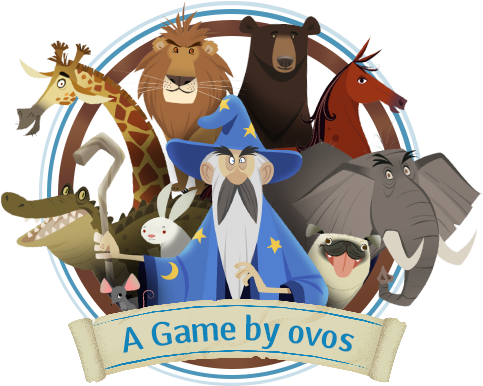 The learners can free the animals by solving different language tasks. The learners become young magicians themselves and finally manage to defeat Winivil. The game can be played on modern tablets or computers and will be available free of charge for all foreign language teachers throughout Europe at the end of the project in August 2018.